Jada Pinkett Smith Advises Her Kids To Not Follow Her Same Marriage Path She Says "Don't Do It"
Unlike many celebrity couplings, Jada Pinkett-Smith’s marriage to Will Smith has withstood the test of time. Whereas most celebrity relationships crash and burn within a few years, if not months, Will and Jada have been together since 1997. Still, in recent years rumors have implied that there is trouble in paradise. At one point, the couple was rumored to be on the verge of a divorce. During an interview with Howard Stern on Wednesday, Jada opened up about her marriage to Will and the advice she gives her kids about whether they should get hitched. For years many observers have speculated that Jada and Will have an open marriage and during her interview with Howard Stern, Jada only added to the persistent gossip. The actress and star of the hit show ‘Gotham’ didn’t attempt to explain away the comment. “Look I’m not here to be anybody’s watcher. I’m not his watcher. 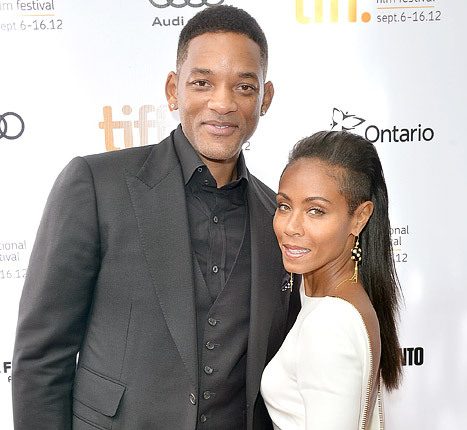 He’s a grown man,” Jada told the SiriusXM radio host. Jada also revealed that at age 25, she was too young when she married her mega-star husband.